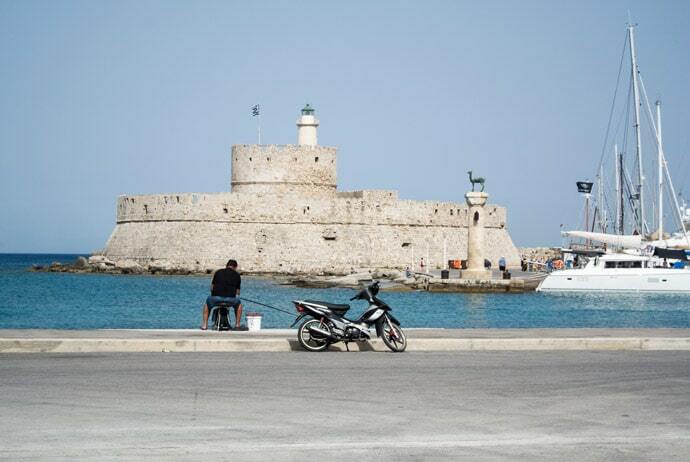 Rhodes was one of my favourite Greek Islands. The Old Town is absolutely amazing and you could spend so much time walking and exploring those streets. 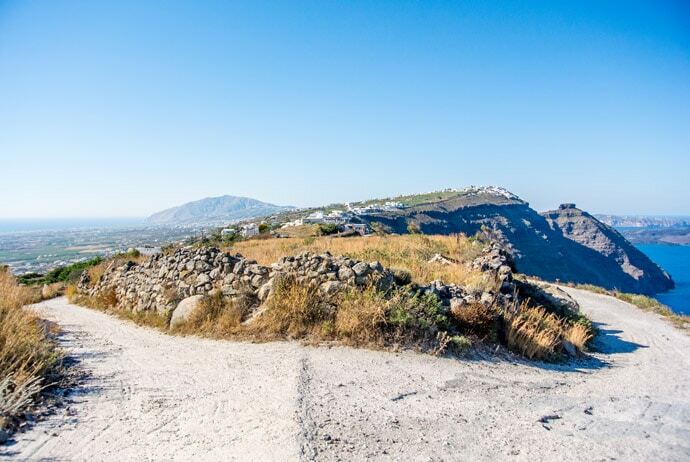 Rhodes is a fairly large island so there is so much to explore. But don’t forget to spend time just relaxing on the beautiful beaches. We stayed in Rhodes Old Town and absolutely loved it. 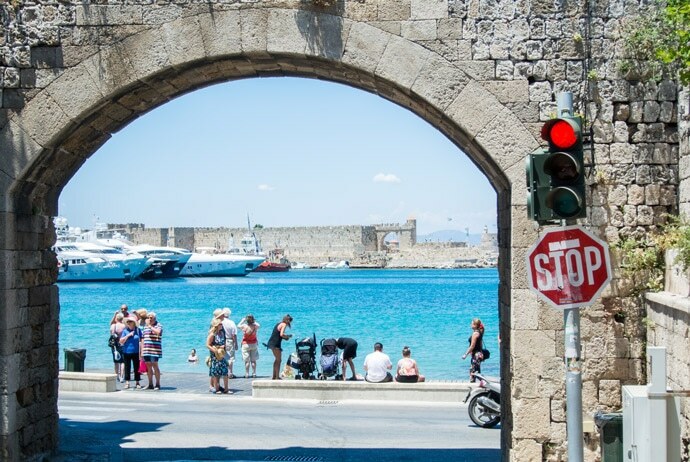 If you don’t stay within Rhodes Old Town, then try to stay near it. We loved staying at S. Nikolas Historic Boutique Hotel in Rhodes Old Town. Rhodes is a big island with a lot to see. I feel like 4 days is a minimum needed to explore, but if you have more time up to a week. We flew from Rhodes to Santorini via Athens, as at the time it worked out to be the quickest way and could be easily booked in advance. 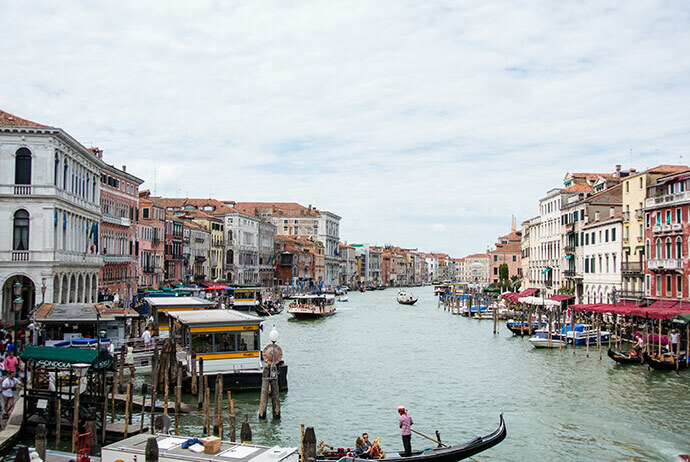 Other options include around a 7 – 8 hour ferry at certain times of the year running on certain days. 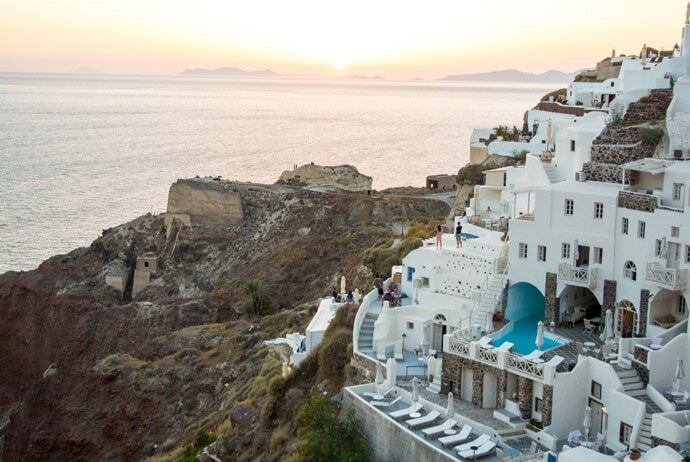 Santorini is a favourite amongst so many people who visit the Greek Islands. I have to say, although I absolutely loved it, make sure to come with the right expectations. Things I loved were the stunning views, beautiful white villages sprawling down the caldera, the nature and scenery. Things I didn’t expect were that Oia is a little separated to parts of the island and Oia itself can be very busy and touristy. 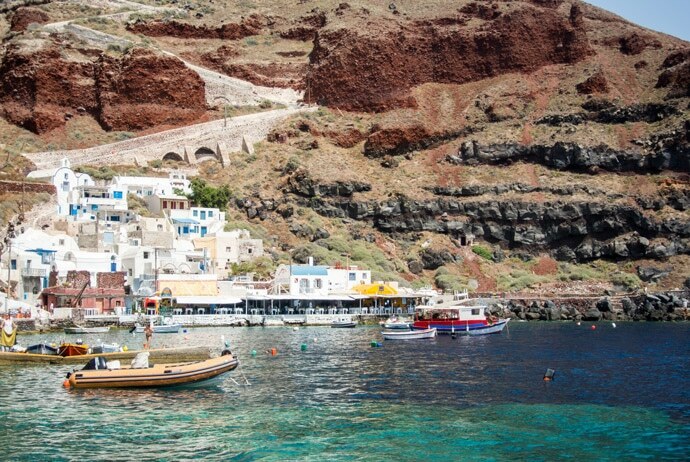 Having said this, I would still recommend Oia as it’s a stunning village but it helps to know what to expect. Another thing is that although it’s a Greek Island, don’t expect lot’s of pristine white beaches where you’re staying. A lot of villages are perched on the top of cliffs, therefore no easy access to beaches, and Santorini beaches aren’t all white sand beaches. Choosing where to stay in Santorini is part of the fun of your Santorini trip. Nothing beats staying on the Caldera in Oia, although there are some great options all over Santorini. Some of my favourite hotels in Santorini include Grace Santorini, Oia Santo Maris, and Charisma Suites. I think 4 days is a great introduction to Santorini, but if you plan to explore the island a little further or visit neighbouring islands then up to a week would be great. 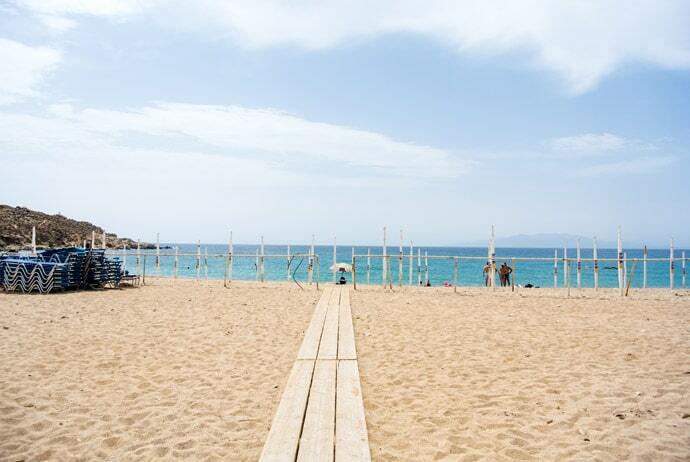 Next stop… Mykonos! We took a fast ferry from Santorini to Mykonos and it was a great choice. It took around 3 hours in a closed-in type ferry where you can’t go outside. For more information see Hellenic Seaways. Arriving to Mykonos by ferry you will see white houses and blue waters. 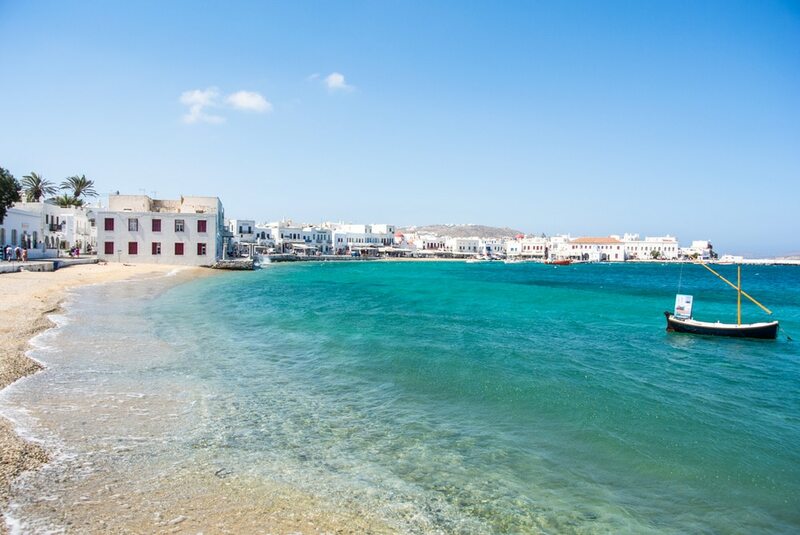 You can make Mykonos what you want it to be, it has so much to offer for every traveller. 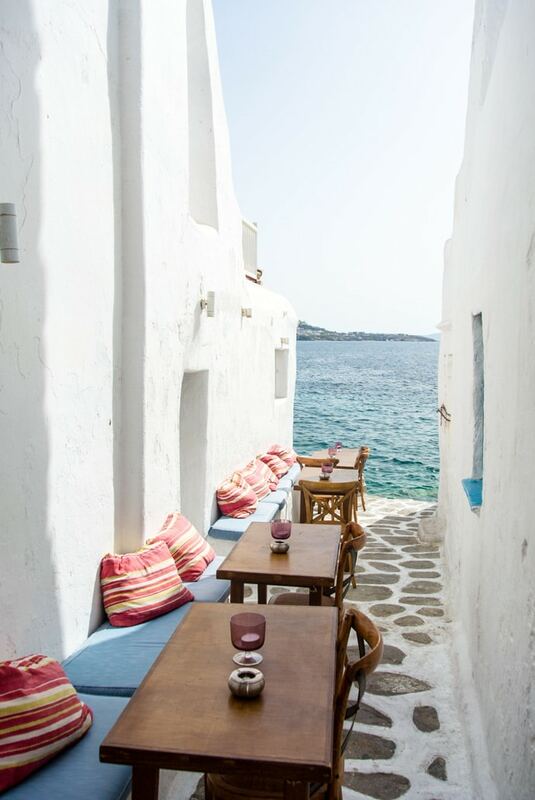 There are so many amazing areas and options for where to stay in Mykonos, from a stunning hotel to a beachside villa. 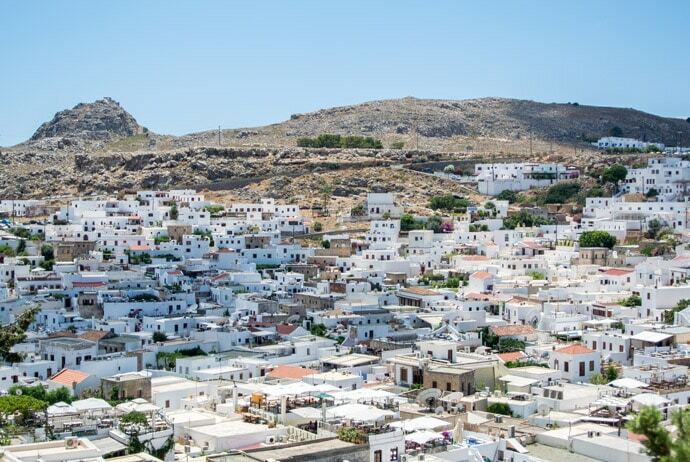 For a first time visit, I think staying in Chora (Mykonos Town) is a great choice. One thing you should be prepared for is that Mykonos hotels are generally more expensive when compared to other parts of the world. Some of my favourite hotels in Mykonos include Boheme, Belvedere and Mykonos Blu. For an introduction I think 4 days is great, but if you want to have more time to relax and more beach time then a week would be perfect. 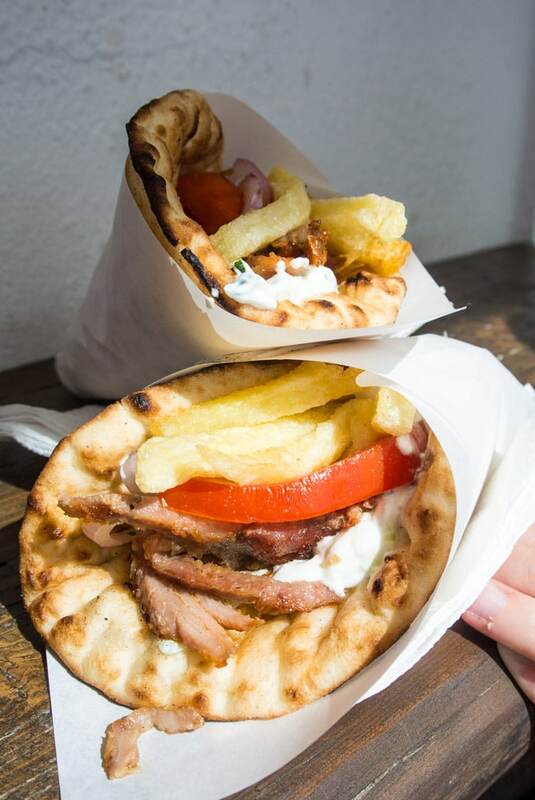 That’s the end of your Greek Islands itinerary! 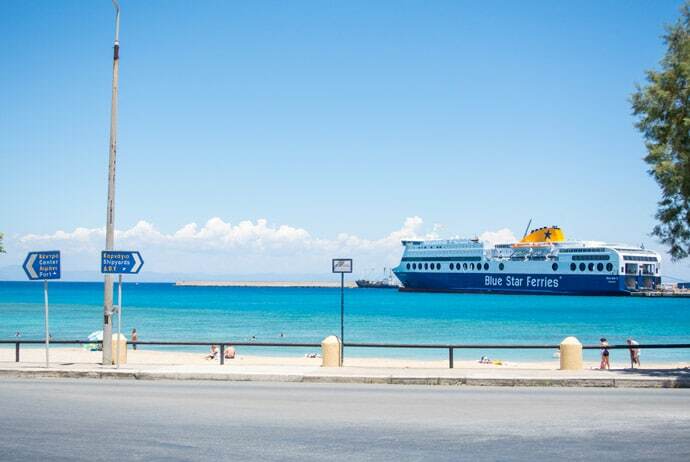 Or, you could continue your holiday ;) If you have time you could add in some smaller or less visited islands or combine your Greek Islands holiday with somewhere else in Europe. We visited Turkey before the Greek Islands, then afterwards Athens, then moved on to Italy. Enjoy your time in the Greek Islands. 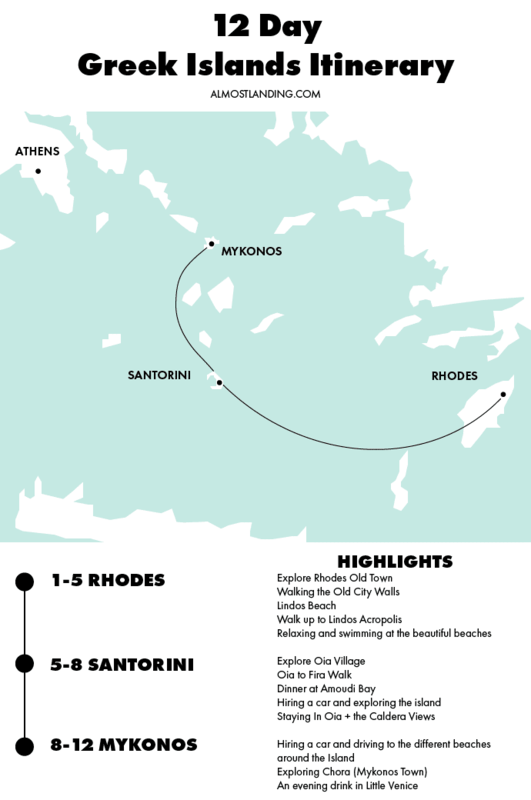 What’s your idea of a perfect Greek Islands Itinerary?